A 22-year-old Malawian woman from Mbawela village in Thyolo, has been arrested for aborting her 6-month-old baby and burying it at her place of work. The suspect identified as Fyness Maseya reportedly committed the act on Sunday, February 12, 2017. 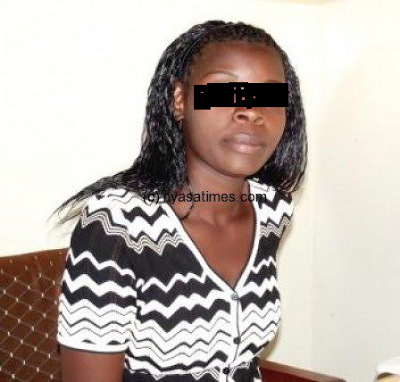 Confirming the horrendous act to Nyasa Time, Kanengo Police PRO, Salome Chibwana said: 'The suspect Fyness Maseya, a guard at Mtupanyama Holdings, was six months pregnant and she decided to have an abortion. 'After successfully committing the act at her house in Ngomani, she put the baby in a black plastic bag and buried it at her workplace in area 28,' she said. Upon noticing that she was no longer pregnant, her friends started asking questions and that was when it was revealed that she aborted and buried the baby at her workplace. The matter was reported to her boss who on Tuesday, February 21, 2017, alerted the police who went and exhumed the body together with a medical officer from area 25 health center. The accused woman who has been charged for murder and concealing of a baby will soon appear in court.